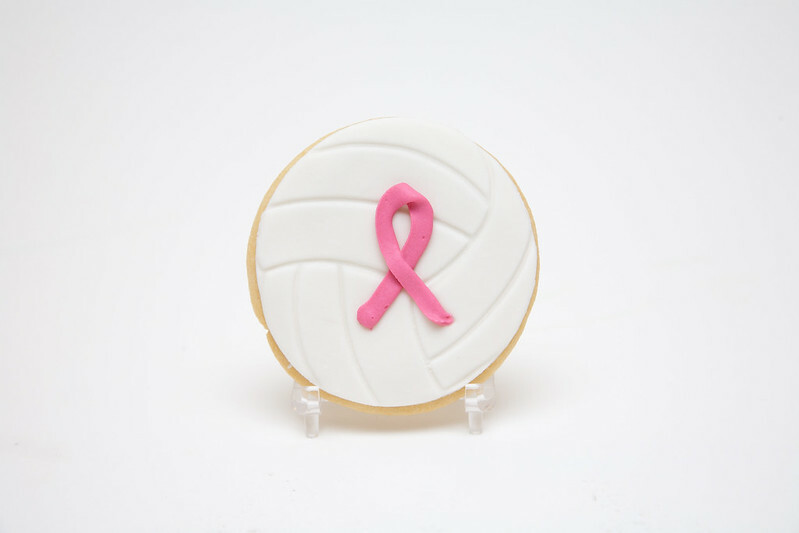 I made 60 of these fondant volleyball cookies with a pink royal icing ribbon piped on for the USF Dons Women's Volleyball team's to help in their efforts to raise money at a Dig Pink! Volleyball game. 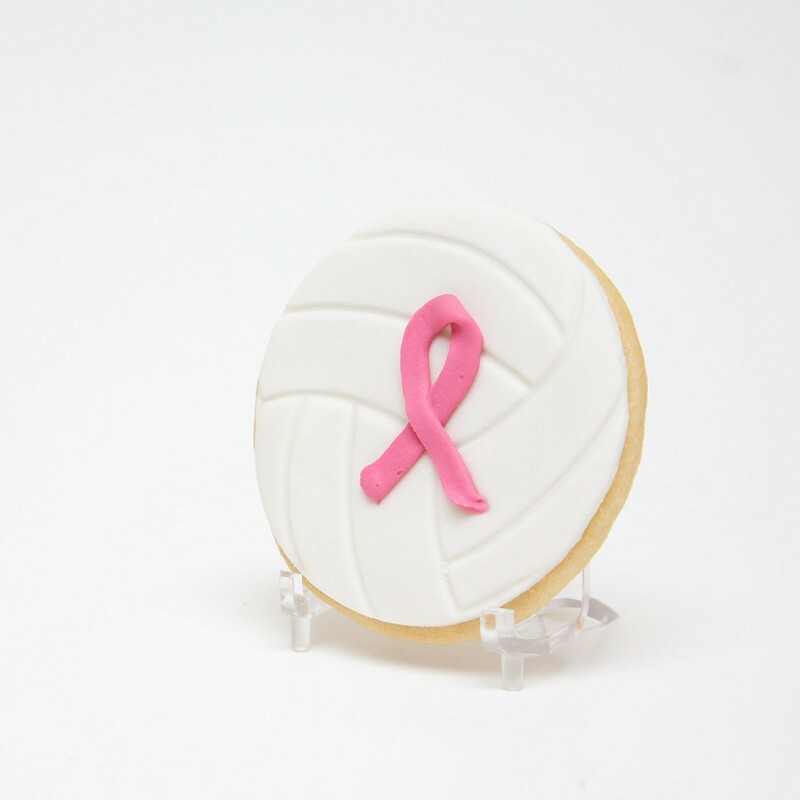 Dig Pink is part of the Side-Out Foundation, a nonprofit organization established in 2004 to unite volleyball players and coaches around the common goal of promoting breast cancer awareness and finding a cure, and other local breast cancer research organizations in their communities. (Read more here.) Looks like the girls did a great job from their fundraising page! Nice work, ladies!